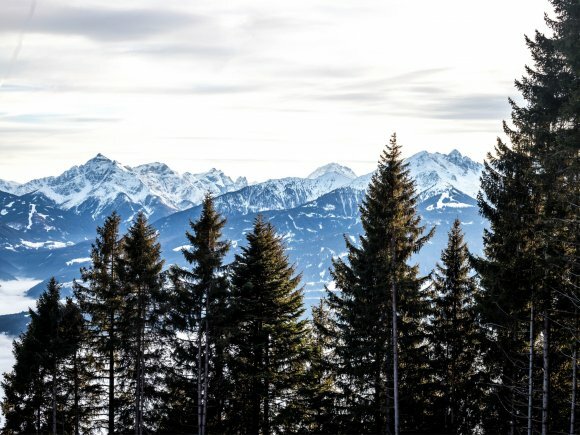 If you want to sell more holidays or tours, you need to choose a web design company that understands the travel industry from the inside and from a customer’s position. Only with this combined knowledge will you be able to create the best website for your business. started designing websites long before Google was around. 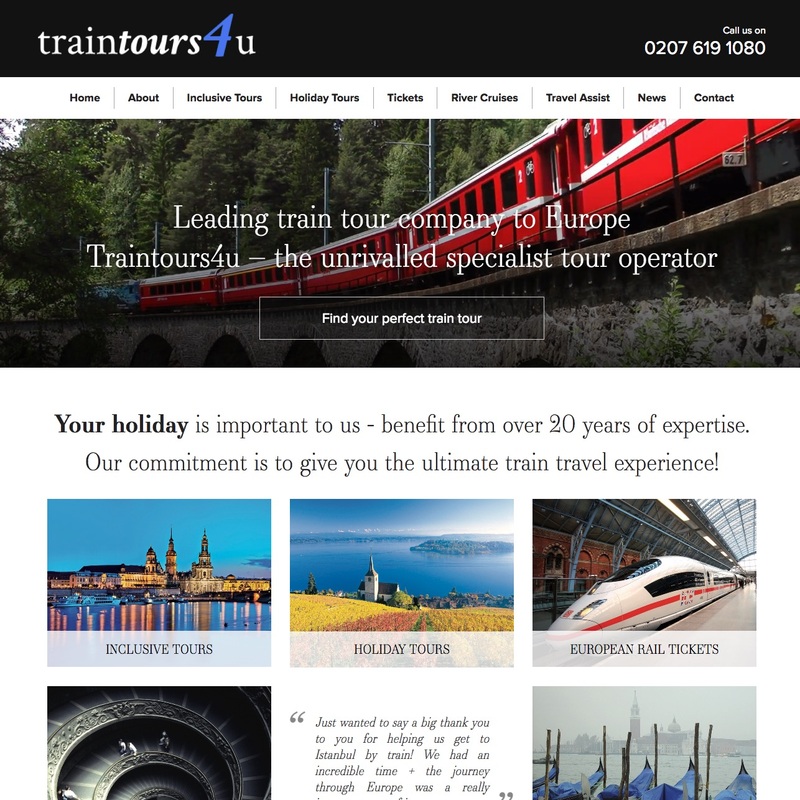 We've been designing websites for travel related companies since the beginning of our careers; we know what makes you tick, and how to help you succeed on the web. Our founders are also passionate about travelling. They have cycled across the Andes, lived in rarely visited parts of Africa and caught the boat to Timbuktu. We know what your customers need to see so that they will buy from you. So, how do you sell more holidays? We will make your website work for you. 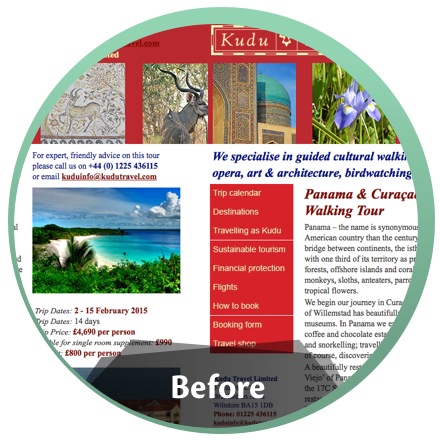 We can turn it into more than just a brochure – it can become the hub for your entire online marketing strategy. We will partner with you to ensure your website works hard for your business. A website that manages bookings, keeps customers informed but most importantly achieves your business aims. 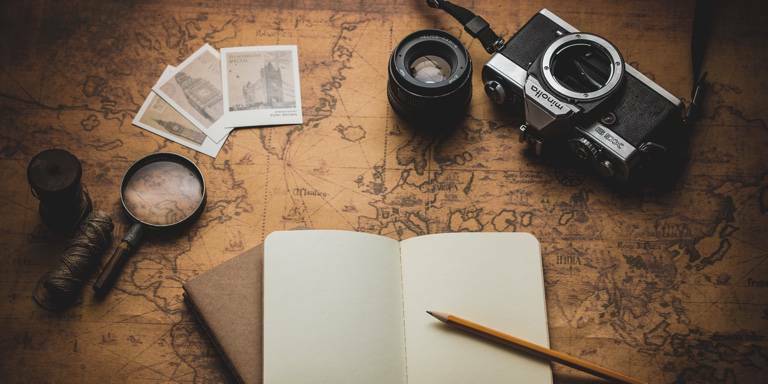 Every travel company has their own unique approach and specialisms, whether that's a small part of the globe or a specific niche in travel. We'll showcase your strengths and make it easy for people to buy from you. 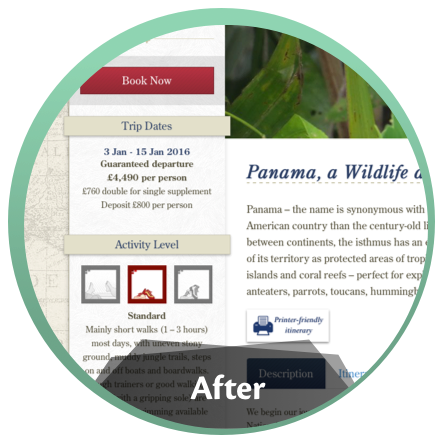 Our websites are designed from scratch to show customers why you can be trusted to provide them with their perfect holiday. 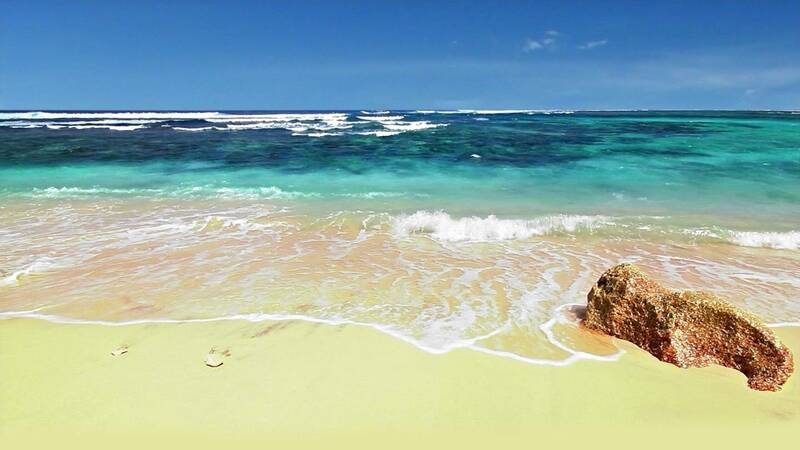 Our services don't stop at travel web design. We know you'll want to beat your competitors in Google and we can make that happen. We can help manage your reputation online and help you use emails and social media to engage with your customers and drive more sales. 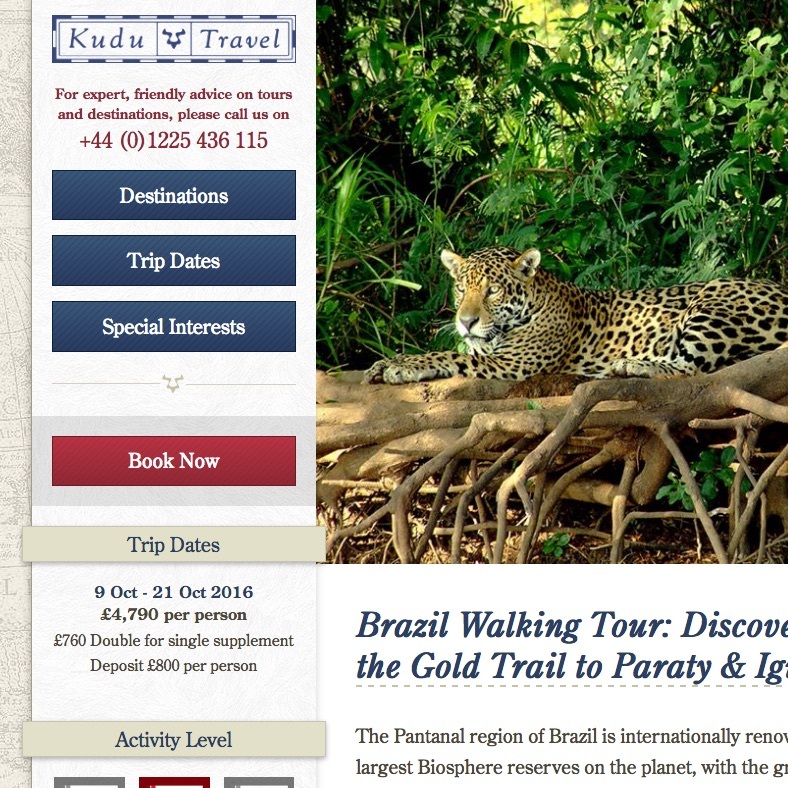 Last year we were approached by Kudu Travel who specialise in cultural walking tours. They had a website that was looking dated, and certainly didn't reflect the premium quality of their service. Obviously a beautiful new site was needed, but more importantly we needed to attract more traffic and do more to convert their visitors in to customers. The new site has clear calls to action to encourage visitors to discover each of their tours and, more importantly, take online bookings. The number of visitors 'bouncing' away from the site after viewing a single page has been reduced by 75%. 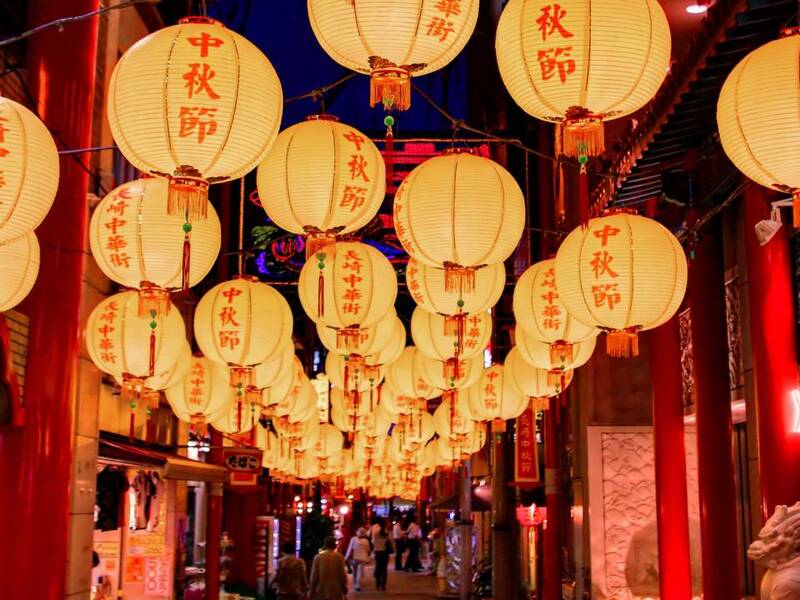 This shows that not only are people sticking around to discover great tours and holiday destinations, but also that the site is attracting it's key audience. Our search engine optimisation has helped considerably, with over 40% more traffic to the new website. 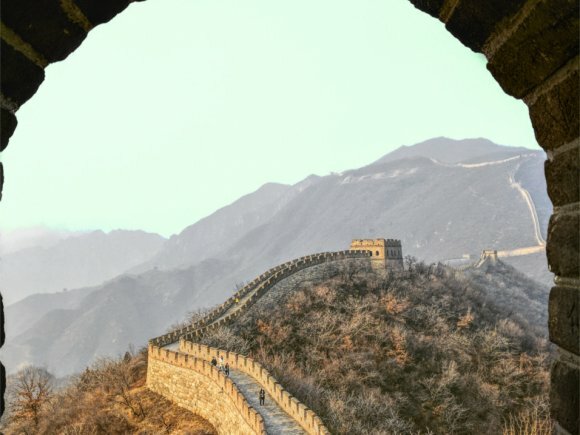 Specialising in cultural walling tours. We improved the engagement of their visitors and developed a system to show off their unique tours in order to boost online (and offline) sales. 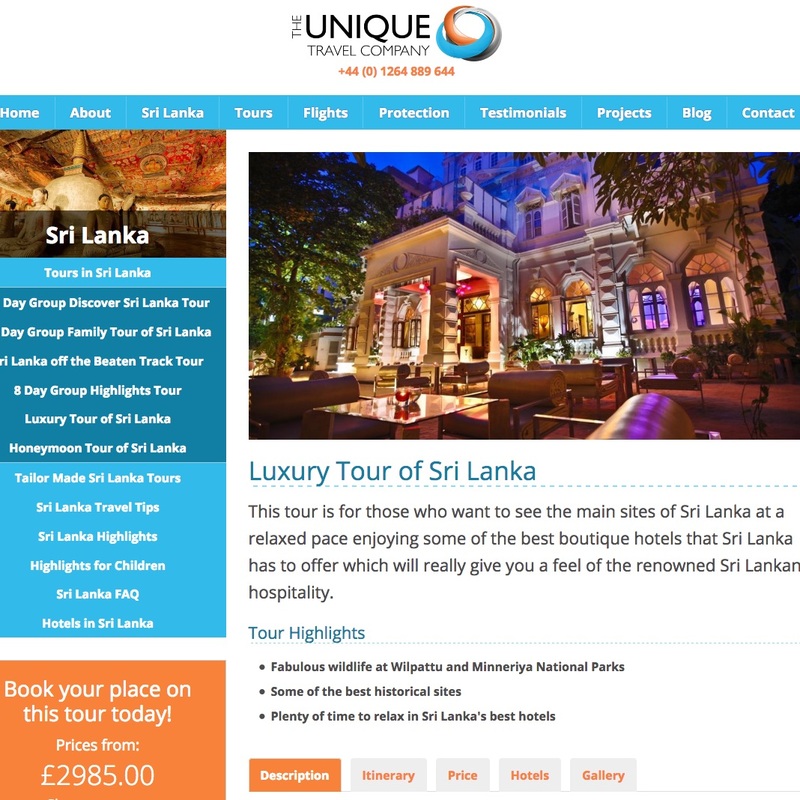 Luxury tours in Sri Lanka. The new website is built on our easy-to-use tour management system and features a modern design with friendly aesthetics. Cycling holidays where all you have to do is pedal! 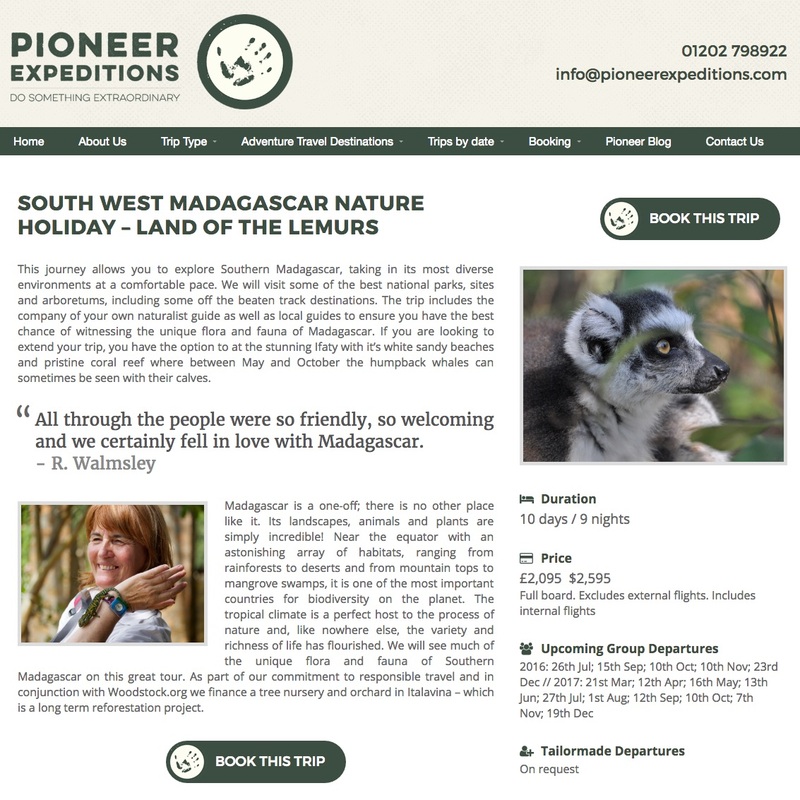 An adventure company specialising in activity and wildlife holidays. We improved the usability of the site by tidying up the content and layout. We also considered the audiences needs and added clear call-to-actions. 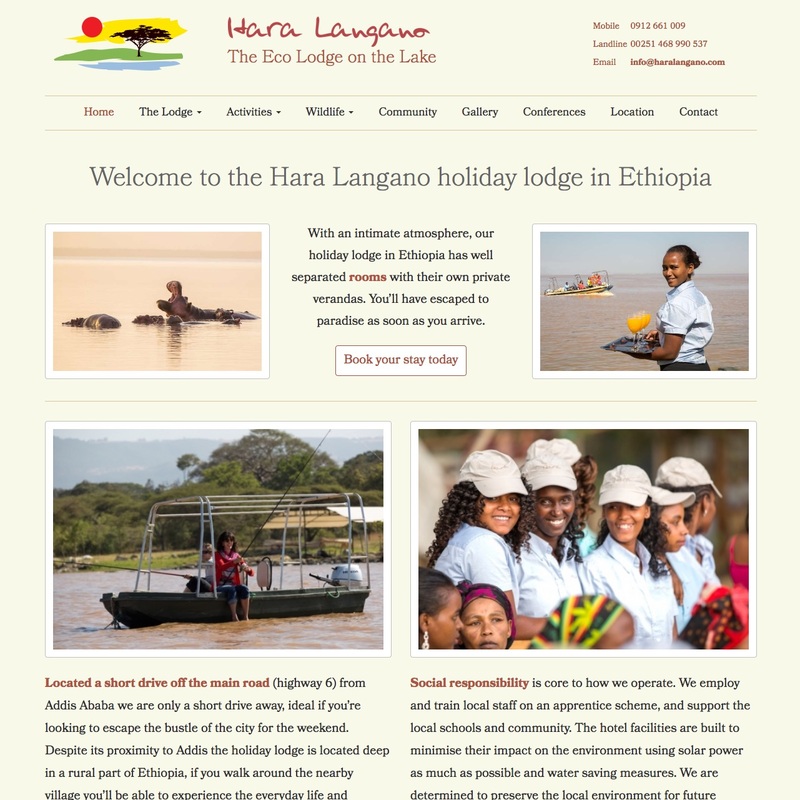 An Ethiopian eco holiday lodge. Along with a new website design, we wrote the copy and improved the search engine optimisation of the website. Leading train tour company to Europe. 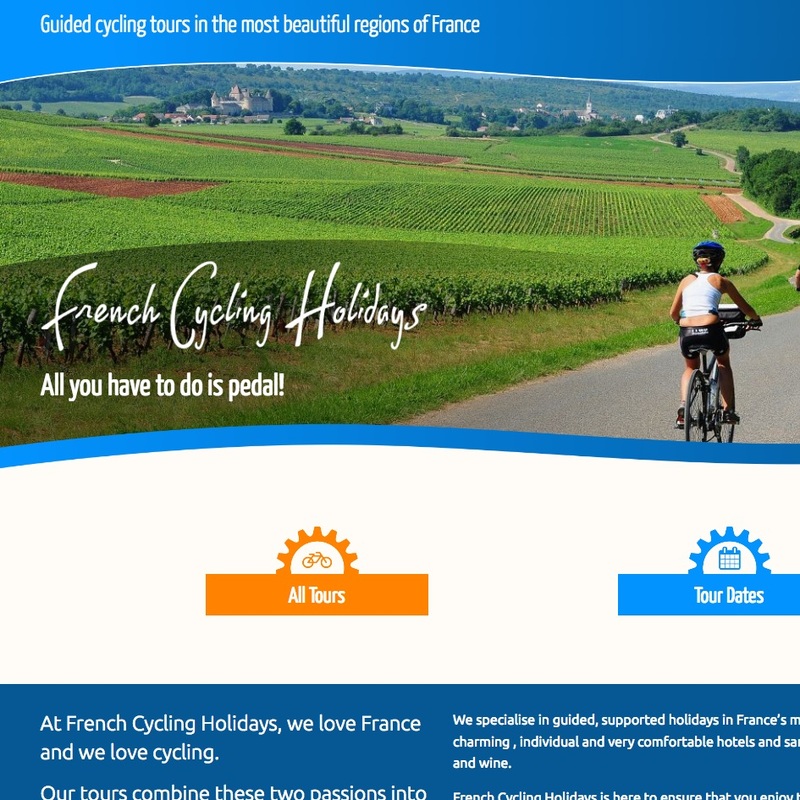 We have built a brand-new website using our fantastic tour management system. 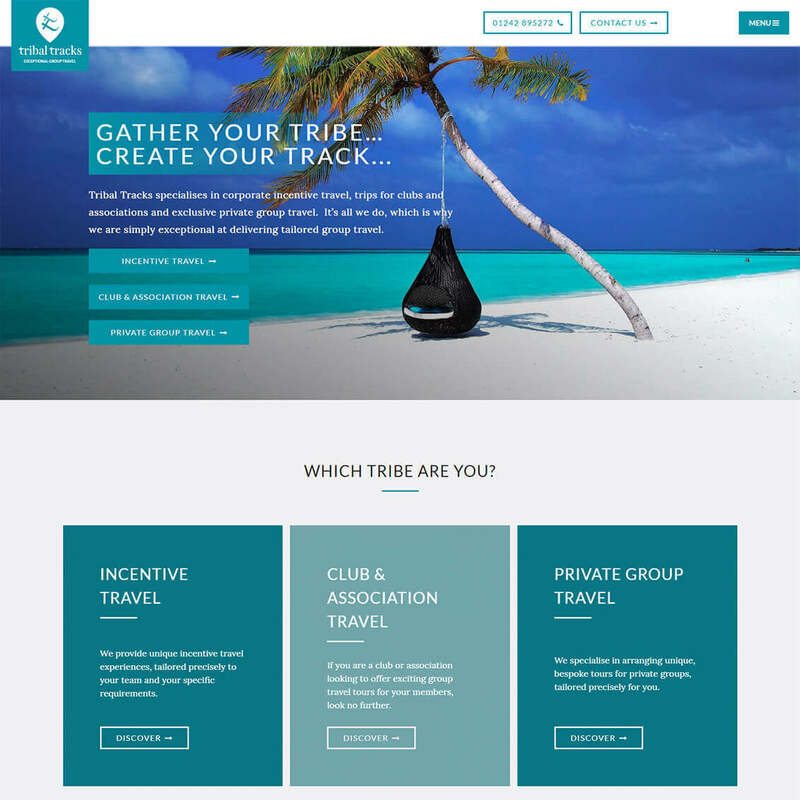 Luxury group and incentive travel company Tribal Tracks. We designed the brand, website and custom built from scratch. 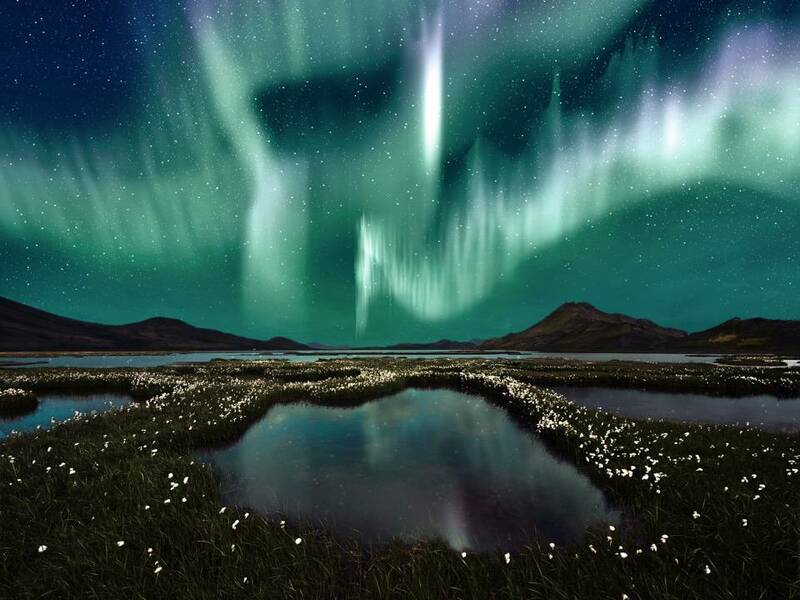 The website includes search engine optimisation throughout. 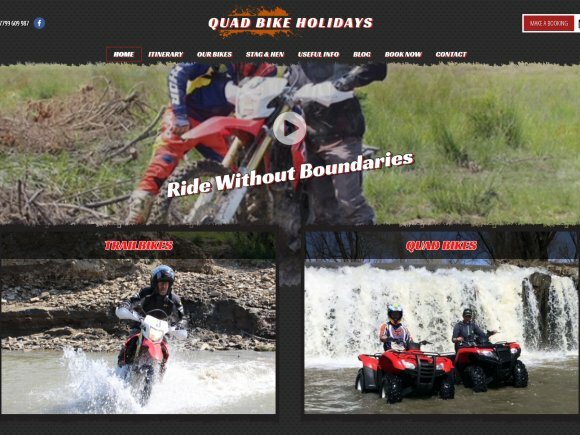 Unique travel company offering trailbike and ATV off-road tours across Romania. Designed to attract thrill seekers, built on our powerful CMS for travel operators.